Yasra’s unconventional mehr was something many had not heard of. PHOTO: FACEBOOK. 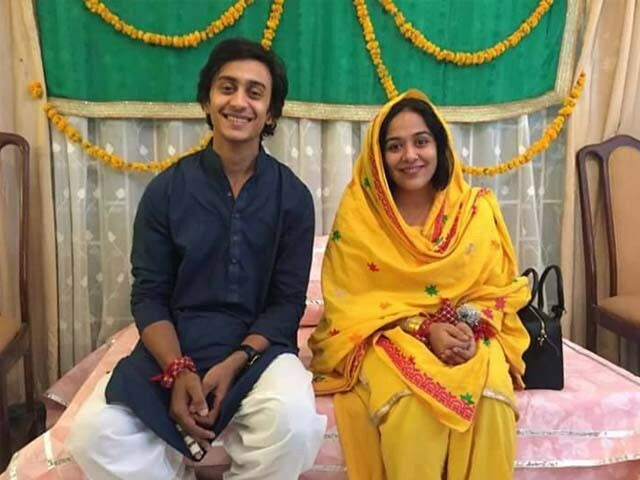 When actress Yasra Rizvi set out to marry Abdul Hadi, little did she know that her claim to fame will be that she married a man 10 years younger and her mehr, which her husband agreed to, is Fajr prayer (obligatory morning prayers for Muslims). The couple was scrutinised harshly through the lens of a magnifying glass, and was trolled on social media for one simple reason – they dared to do something against the norm. And nothing scares us like what we do not understand. People are still familiar with the older-woman-weds-younger-man scenario, even though they see it as abominable, even those who harp on about how important following the example of the Prophet (pbuh) is, forget that it is also his Sunnah that he married a woman 15 years his senior at the prime of his youth. But Yasra’s unconventional mehr was something many had not heard of. We, as a nation, have common misconceptions about this Islamic tenet, stemming from a lack of awareness. Yasra, thank you! You taking this step out of the norm may just have triggered a debate that could result in some authentic information regarding the concept of mehr trickling into our collective narrative. Mehr (also called haq mehr) is a mandatory payment of tangible assets, currency, property or an intangible, conditional commitment or understanding that both parties agree upon. Yes, a mehr can be intangible, as is in Yasra Rizvi’s case. The best example of an intangible mehr comes from the Sahabiya Umm Sulaym Bint Milhan al-Ansarriyah (ra) who agreed to marry Abu Talha (ra), and the mehr was him accepting Islam. Islam has not fixed an upper or lower limit of mehr. It will depend upon the financial standing of both the man and the woman. While no amount or limit has been prescribed, it shouldn’t be an amount so extravagant that the man cannot afford to pay (and is just fixed to portray financial or social standing). Nor should it be so miniscule that the tenet appears to have been taken lightly. However, once again, no sum or limit has been set, neither upper nor lower. The amount is to be decided upon after mutual consultation between the man and the woman tying the knot. This is one more reason why the couple entering into the contract read through and understand the clauses of the nikkah nama, and the terms are mutually agreed upon. If elders of the family help with the consultation, it should be made sure that the man and the woman are on the same page and are aware of the agreement. Mehr is an absolutely obligatory clause of the contract of marriage for Muslims, no matter how big or small the amount. Mehr is designed as a means of security and protection for the woman. It will be the sole property of the woman and she will have discretion over how and when to spend it. It is therefore a part of the nikkah, and its payment is not conditional with or tied to the incidence of talaaq (divorce). It is therefore strongly recommended that it is paid at the time of the nikkah. However, if there is a genuine reason why it cannot be paid at that time, mawajjal/muakhhar (deferred/promised) rather than mo’ajjal/muqaddam (immediate/prompt), then it should be paid as soon as the man can afford to pay it. Till such time that he pays it to her, it is considered a kind of debt that he owes to his wife. Islam makes clear that if he cannot pay it at that given time, he should intend on paying it at the earliest. Upon a man’s death, all that he leaves behind as inheritance for his heirs may not be distributed among the inheritors until all payments or debts he owes to anyone are paid off, which includes the mehr. No man who wishes to marry a woman is exempt from mehr. Thus, the custom of asking the wife to “forgive him the mehr” is not in line with Islamic tenets. Knowledge gives one the power to make informed decisions. Yasra used that power. Instead of wasting time judging her decision, it’s best to learn more so that we, too, can make informed decisions. 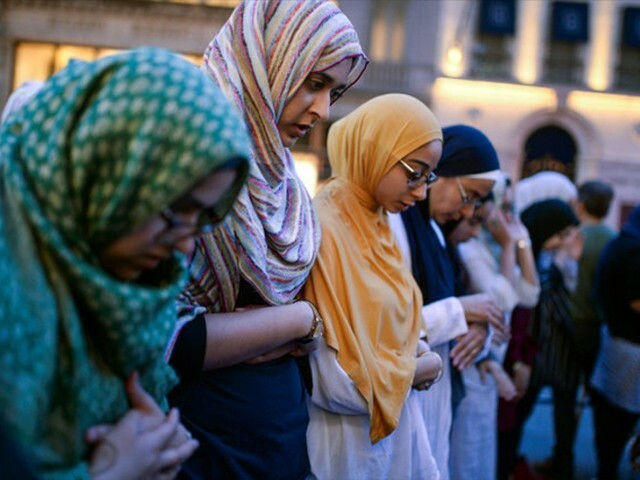 Information shared in this write-up is based on authentic Islamic traditions. 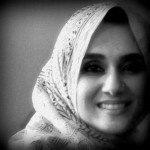 Posted in Faith, Women and tagged dower, gender, Islam, Mehr, Pakistan, Women, Yasra Rizvi. Bookmark the permalink. KARACHI : For him, the song was never about a beloved. It was always about the Beloved. But he could not have said it then. 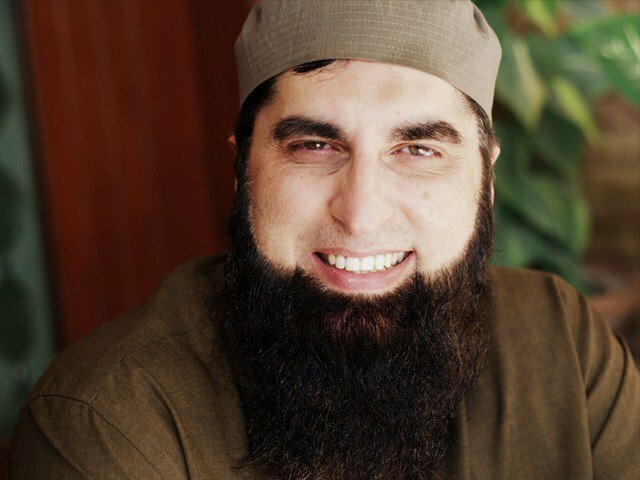 The stubble Junaid Jamshed sported in the video was perhaps one of the first times the strikingly handsome singer was seen with some form of a beard. But it was seen as part of the costume for the character of the taxi driver he played in the video, chewing on a match stick while looking intently at a female gypsy singer. 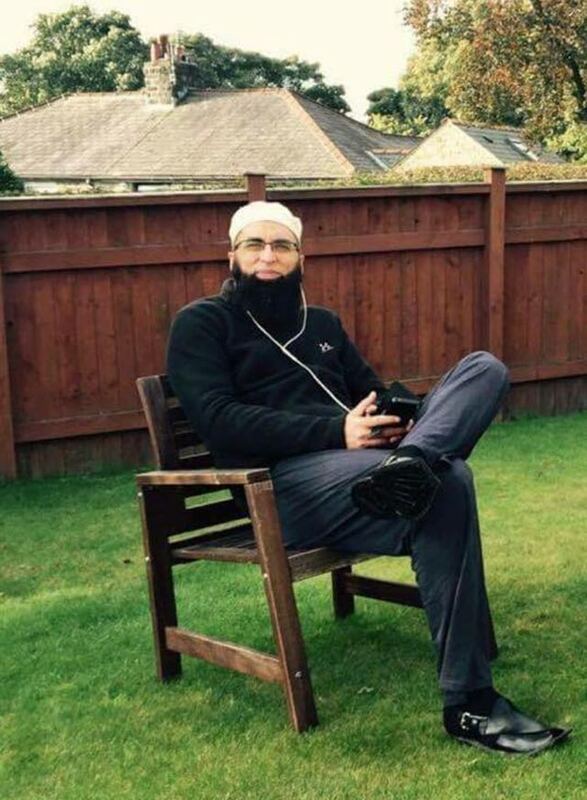 As the nation reeled from the shock of his abrupt death in the airplane crash that took away 47 lives almost a month ago, both his songs and his naat renditions started going viral on social media. It could not have been either/or. It had to be both. Some chose the former part of his singing career – mushy, poignantly phrased and softly rendered ballads and patriotic songs that helped each one of us emote at some phase of our life. Others chose his latter offerings –Islamically inspired renditions in which he sung praises of Allah and the Prophet (pbuh). Then there were those, few in number, who celebrated both phases of the icon’s life – his voice had been with them in moments of both majaazi (of the beloved) and haqeeqi (of the Beloved) Ishq. That was Junaid – a nexus between the two extremes. The song that was shared most by his fans on both ends of the spectrum was the ballad from his solo album in 1999, Us Rah Par. This is deeply ironic; that song represents the transformational phase of this complex, layered and loved icon of Pakistan. It would be unfair to his audiences that what he revealed about this song is not shared with them. Many temptations tugged at his heart all through his life. He never stopped loving music, but eventually he made the choice that felt right to him. “The life of this world and the Hereafter… if you please one, the other will be upset. It’s a choice you have to make,” he had said. He knew he was a people’s person. “Mein awaami aadmi hoon. The work I am doing now has much more human interaction, compared to the showbiz days. 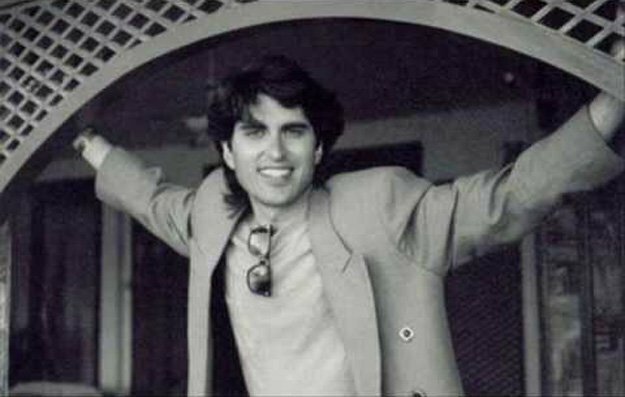 Back then, the stage was in between,” Junaid had said. Much to the frustration of his fans, who perhaps never forgave him for giving up music, Junaid went ahead and did what he had to. H,e indeed, did become coloured in a colour that made him stand out amongst all. He saw that as the colour of the Divine. 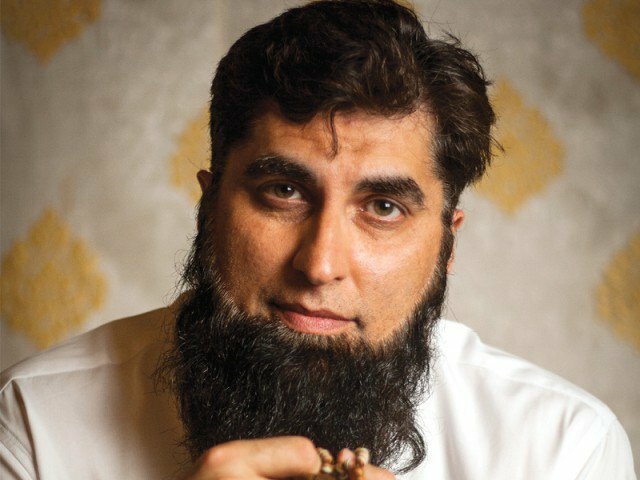 Posted in Straight From The Heart and tagged Dil Dil Pakistan, Islam, JJ, Junaid Jamshed, music, Pakistan, PK661, us rah par, Vital Signs. Bookmark the permalink. And the good deed and the bad deed are not equal. Repel [evil] by that [deed] which is good; and thereupon the one whom between you and him is enmity [will become] as though he was an intimate friend. And if an evil whisper from Shaitan (Satan) tries to turn you away (O Muhammad, upon him be peace) (from doing good), then seek refuge in Allah. Verily, He is the All-Hearer, the All-Knower. Verse 41:33 – In a world full of words, talks and conversations, there is so much noise and too much info. Analyze the words we utter, speak, write, share. So many are undesirable – they may hurt others or be in-factual or exaggerated, or simply useless. But you can be sure that the most beautiful are the words that help others connect with Allah. Here, the act of dawah (calling towards Allah and towards Islam) is being called the best speech. But conditionally – the person doing so must couple it with righteous actions, and reaffirm his/her own faith. Needless to say that the act of dawah cannot be done effectively with hikmah (wisdom), rifq (gentleness), ‘ijz (humility) and naseeha (sincerity). yet, some from among believers must continue doing it, and the reward is multi-fold in an era where people are not ready to listen. Like today. That is precisely when it is most needed. Verse 41:34 – We lose it sometimes. We say things that cause friction and rifts, and cause fights and disagreements. We have falling outs of friends and break ups of spouses. Sometimes we feel it is just too late to say sorry or to make up. And sometimes, it is truly the fault of the other person. In either case, the casualty is the relationship. Here, the Quran says something beautiful: Good and bad behaviour are not the same and therefore yield different results. And if at all you make a mistake of hurting someone or souring a relationship, act toward that person with kindness, sincerity and affection. The golden rule here is that good repels evil, just like clean water washes away dirt. So even of your behaviour is faulty and full of mistakes, keep doing good deeds to makeup for your mistakes. Exceptions will always be there, but as a general rule, loving and kind behavior can makes friends out of foes and can rejoin broken ties. Verse 41:35 – But to be nice to someone with whom you have had an unpleasant episode is not easy. Imagine having to say sorry after a fight. Imagine being kind and gentle to someone who was rude to you. This might be the path to rejoining relations, but its not easy. Yet, to crush one’s ego and take that first step, according to the Quran, is something also those with patience can do, and in the sight of Allah only the lucky ones get to do it. Verse 41:36 – Remember when you contemplated being the first one to say Salam or say sorry or extend the hand of friendship after a fight? Shaitan will dfinitely whisper to you that it makes you look small, and remind you that you are not in fault, and plant in your mind the question “Why should I do it?” Because the reward of doing the right thing is so much, seek protection in Allah from such misleading whispers of Shaitan, and do the right thing anyways. Posted in Faith and tagged break up, Islam, make up, Qur'an, Quran 41:33, Ramadan. Bookmark the permalink. And hasten to forgiveness from your Lord and a garden as wide as the heavens and earth, prepared for the righteous. Those who spend [in the cause of Allah] during ease and hardship and who restrain anger and who pardon the people – and Allah loves the doers of good. And those who, when they commit immorality or wrong themselves, remember Allah and seek forgiveness for their sins – and who can forgive sins except Allah? and (who) do not persist in what they have done knowingly. How beautiful is Islam, full of hope, for the door to forgiveness is always open till the last breath. These verses from Surah Aal-e-Imran have multiple inter-related themes. Here I am, marveling at each verse and each word and each letter that is meaningful beyond comprehension. With gentle love and care, our Merciful Rabb shows us the path towards salvation, guiding us each step of the way, motivating us, telling us what to do. Verse 134: SPEND – One of the sure shot ways to wash away your mistakes. And spending not conditionally only when you have lots to give, but spending in times of difficulty and financial restrain. Spending what we love. Spending even when we do not have a lot of “extra” to spend. Spend on those who live on earth, and He will forgive you and shower blessings on you from the heavens. Verse 134: CONTROL ANGER – Anger in all its forms. Both inner and outer. Outer anger manifests itself as abuse, violence, taunts, sarcasm and harming the other. Inner anger manifests as grudges and ill feelings. The word “kaazimeen” is so apt – to suppress. Meaning the anger IS there, and in all probability is justified, and the person we are angry with may have hurt us or wronged us. Yet, true strength lies in controlling this negative emotion. Verse 135: BEGGING FOR FORGIVENESS: Yes, even those who will eventually, InshaAllah, enter Paradise, make major mistakes and commit major sins….sins that come under immorality, indecency, and go against the command to guard their chastity. When they do so, they have wronged no one but themselves. The inner impressions such sins leave harm our soul, bit by bit. The verse addresses those who have harmed themselves. Recognizing that one has erred and accepting that it is we who harm ourselves is the first step towards forgiveness. When they ask Allah (swt) for forgiveness, Allah (swt) showers His forgiveness on His slaves. But the one condition this verse puts forth is this: Do not insist on repeating a sin when you realize it is a mistake. Strive and aim to ward it off, and ask Allah (swt) for the strength to be able to resist the temptations. And its beautiful when the verse says who can forgive but Allah (swt)? The piles and mountains of our sins can only find forgiveness in our Rabb, the Magnanimous and ever Merciful. In this most special of months, let us forgive and beg Allah for forgiveness. Posted in Faith, Uncategorized and tagged Aal e Imran Quran, charity in Islam, forgiveness, Islam, Ramadan. Bookmark the permalink.